When I welcome visitors to the U.S. Ambassador’s Residence in Beijing, they often comment on a black-and-white photo of my first meeting with Xi Jinping. In the picture, the members of the 1985 Chinese agriculture delegation to Iowa stand calmly behind my desk, peering into the camera, as Xi Jinping stands unobtru­sively to my right. Some visitors ask, “Ambassador Branstad, did you know this young man would become President of China?” Indeed, I did not—I treated him with the same Iowa hospitality with which I welcome all my guests. His importance as a rising leader of China, though, became increasingly apparent over the course of six gubernatorial visits I made to China during the subsequent 30 years. The same is true of U.S.-China relations. Today, I have the honor of representing the United States in the most consequential bilateral relationship in the world, one that we absolutely have to get right. During President Donald Trump’s November 2017 state visit to China, the President identified three priority tasks for the two nations’ relationship. First, work with the Chinese govern­ment to address the North Korean nuclear and missile threat. Second, seek a more balanced and reciprocal trade and investment relationship. And third, partner with Chinese authorities to reduce the flow of illicit opioids from China to the United States. Each task presents its own unique challenges and opportunities. North Korea’s illegal nuclear weapons and missile program is the greatest threat to humanity today. During my trips to the China-North Korea border, I have listened to local government officials express concerns about possible fallout from nuclear tests. China has much to fear from North Korea’s nuclear weapons, and the Chinese leadership has reiterated that it shares our goal of complete, verifiable and irreversible denuclearization of the Korean Peninsula. In 2017, China joined the United States in voting for a series of United Nations Security Council Resolutions that impose the strongest sanctions ever on North Korea. These resolutions, which passed unanimously and reflect the will of the international community, including China, are steps in the right direction. As North Korea’s neighbor and largest trading partner, China is unique in its ability to influence the regime of Kim Jong Un. We are working closely with the Chinese government to ensure that the sanctions are strictly enforced, and we continue to call on China to use its unique leverage to help us maintain maximum economic and diplomatic pressure on North Korea that is necessary to compel Pyongyang to negotiate complete, verifiable and irreversible denuclearization. Our second task is rebalancing the bilateral trade relationship. As we all know, President Trump is dedicated to creating a more reciprocal trade relationship with China. American workers, farmers, ranchers and business owners are counting on this administration to ensure that China takes concrete steps to address long-standing trade irritants and that our trade and investment relationship conforms to the principle of reciprocity. During his visit, President Trump stressed that trade between China and the United States has long suffered from a reciprocity gap. U.S. companies face an increasingly uneven playing field in China. Nearly 20 years after joining the World Trade Organization (WTO), China is far less open to U.S. companies than the United States is to Chinese companies. Chinese outbound investment in the United States was about $50 billion in 2016. Meanwhile, American opportunities to invest in China face stifling restrictions. As a result, the finance, technology, telecommunica­tion and health sectors are all largely closed off to foreign companies in China. China’s state-owned companies continue to monopolize most of the service sector. They operate under an umbrella of protection, separating them from the global competition that drives innovation. Opening up the service sector to U.S. companies would significantly reduce the trade deficit. We urge China to take steps to adopt non-discriminatory regulatory policies so that foreign firms can fully participate in these sectors. Tech is another trade hot spot. We have been clear with our Chinese counterparts that ensuring the free movement of data across its borders is essential. 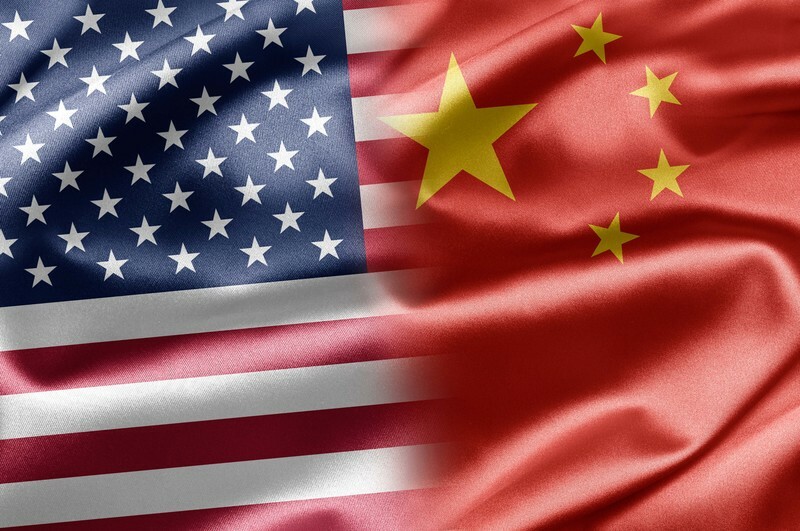 Cross-border data flows are essential for both American and Chinese businesses, as well as for the continued devel­opment of our modern global economy. While WeChat expands its presence as a mobile tool in the United States, it simply is not fair that Facebook and Google are not able to operate freely in China. The United States could also benefit from greater Chinese market access in the agriculture sector. China’s decision last year to allow U.S. beef imports was a positive sign. I am hopeful there will be further movement soon to strengthen and expand agricultural trade between our two countries. China could greatly benefit from U.S. ethanol, an environmen­tally friendly, healthier and cheaper alternative to traditional petroleum-based fuels. American industry can help China meet the pollution reduction goals it is adopting. I stress to my Chinese interlocutors that the benefits of Chinese market liberalizations run both ways. A liberalized investment environment would provide the Chinese economy with greater access to global business best practices. As shown by the success of U.S. businesses—which have flourished in an environment that allows for an efficient flow of international investment—Chinese industries need competition to drive innovation, effi­ciency and productivity. Our third imperative is to stem the tide of illicit opioids from China to the United States that are ravaging our communities. I support President Trump’s commitment to ad­dressing America’s opioid crisis, including blocking opioid production. The data show much of the illicit opioids consumed in American cities and towns originated out in Chinese labs. We have a three-pronged approach to working with China to fight illicit opioids, focused on regulation, distribution and operations. First, we want China to schedule fentanyl, a main opioid precursor, as a class of narcotics, something they agreed to discuss during the President’s visit. Second, we want to strengthen cooperation with China to track packages containing opioids so that we can identify the criminal networks responsible for sending them. Third, we want to increase the number of joint opioid-related investigations with Chinese law enforcement. Our government has engaged the Chinese on this issue at every level. President Trump raised the issue directly with President Xi here in Beijing. I recently discussed opioids with China’s Minister of Public Security, and we have included the issue on the agenda of high-level meetings in both Washington and Beijing. And we continue to engage at the working level, seeking cooperation between our law enforcement agencies, including the U.S. Drug Enforcement Administration (DEA), Customs and Border Protection (CBP), Immigration and Customs Enforcement (ICE) and their Chinese counterparts. There are signs our strategy is working. In late December, China announced it would control two important fentanyl precursors—NPP and 4ANPP—effective February 1. This new listing will make it harder for criminals to make illegal fentanyl in China and make it easier for authorities to prosecute those who do. As we strive to accomplish these three main tasks, a deeper project undergirds our daily work here in Beijing: representing American principles and values in a country where we witness a troubling deterioration of respect for freedom of information, expression, association and religion. We, the American people, hold fundamental beliefs about democracy and individual freedoms. Concern for human rights is in America’s DNA. Just after my arrival to China, we successfully negotiated permission to bring an American and a German doctor to visit China Nobel Laureate Liu Xiaobo, a Chinese prisoner of conscience who was suffering from terminal-stage cancer. Ultimately, China did not allow Liu to leave the country before his death. As this episode reminded the world, for all the economic and technological advancement this government has brought its people, China still fails to guarantee its citizens all of the human rights and fundamental freedoms to which they are entitled under China’s laws and its international obligations. As China’s Internet users reach numbers into the hundreds of millions, the freedom of expres­sion many expected would flourish in China’s Internet age has not arrived. Chinese Internet users live in the shadow of the Great Chinese Firewall, which keeps them from using many of the Web’s most basic tools—Google, Facebook, Twitter—to engage with the world and learn about their own country. Behind the wall, government censors are increasingly using the latest technology to silence dissent and impose penalties on Internet users who express political or social criticism. We regularly raise human rights, including freedom-of-expression issues, with the Chinese, working privately and publicly, as appropriate. And we will continue to do so. We also coordinate with other democratic countries in promoting greater respect for individual rights in China. The U.S.-China relationship is as important as it is complex. While I am proud to represent the American people in Beijing, I certainly do not do this rewarding work alone. The U.S. Mission to China consists of hundreds of diplomats and employees from every corner of America, representing almost all the departments and agencies in our government. This team is one of the finest groups of people I have ever worked alongside. With our combined efforts, I am confident we will make strides in pushing our agenda forward in China.